Kicking off its annual flagship event ‘Adobe Summit’ in Las Vegas, the software services giant has today taken the wraps off its cloud-based marketing suite called Experience Cloud. It brings together a comprehensive set of cloud solutions to provide enterprises with more marketing, advertising, and analytical tools on a single unified platform. It aims to not only broaden its footprint but also help digital businesses deliver an intuitive customer experience. Extending beyond the scope of its current marketing play, Adobe Experience Cloud is an umbrella pulls together multiple strings (or suites) at once to provide digital businesses with an all-around experience. It now includes a Marketing Cloud, Advertising Cloud and Analytics Cloud, which is further topped off by Creative Cloud and Document Cloud integrations. Individuals only have access to the latter two of the bunch, while enterprises have the choice to purchase individual tools as per their needs. All these solutions are built upon Adobe’s robust and scalable Cloud Platform. At Adobe, we believe experience is the great differentiator, the make-or-break attribute to ignite life-long customer advocacy and growth. Leveraging deep customer intelligence, Adobe Experience Cloud gives businesses everything they need to deliver a well-designed, personal and consistent experience that delights customers at every touchpoint. With today’s launch, Adobe is taking a step closer to better understanding the needs of enterprises and has, thus, unified its solutions for them onto a single dashboard. Starting off, the Analytics Cloud enables businesses to tap into a customer intelligence engine and better capture, aggregate, rationalize and understand vast amounts of data to build singular customer profiles. It combines Audience Manager and Adobe Analytics to provide real-time audience management data across all Adobe clouds. Adobe Marketing Cloud provides an integrated set of solutions to allows marketers to leverage the aforementioned data to connect, as well as proactively engage with their customers. It includes a bunch of tools, namely Adobe Experience Manager, Adobe Target, Adobe Campaign, Adobe Social, and Adobe Primetime. The Advertising Cloud, on the other hand, is being touted as the very first end-to-end platform for managing a company’s advertising needs across traditional TV and digital platforms. This is an exclusive new product that has been launched today at the Summit but is also being made available in the Experience Cloud marketing suite. It is Adobe’s latest move to take on Google’s ad technologies, and have been built with the combination of Adobe Media Optimizer and recently acquired TV ad company TubeMogul. This unification of solutions is leading the software company to compete with the likes of widely popular CRM players such as Oracle and Salesforce. Adobe is now gunning for its arch-rivals by concocting the perfect blend of its enterprise services, aimed at elevating the customer experience. The integration of Creative Cloud and Document Cloud further alleviates the quirks of switching from one digital workflow to another. Experience Cloud tightly packs these tools into one platform and is currently being used by large brands, including Coca-Cola, Hyatt Hotels, Major League Baseball, Mastercard and Royal Bank of Scotland among others. 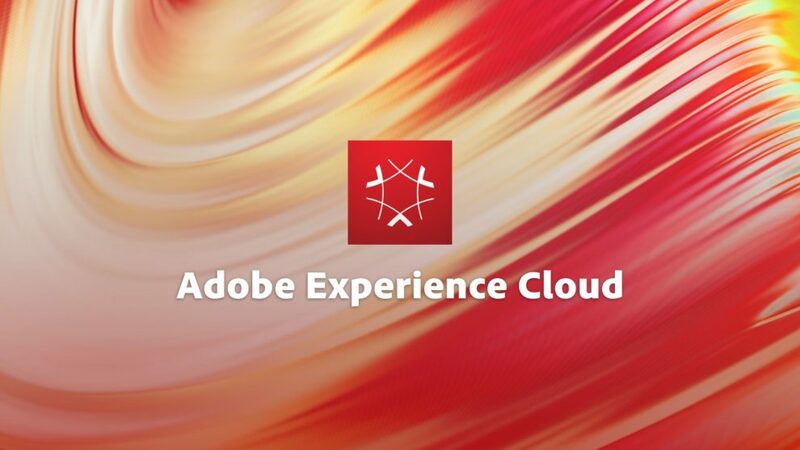 Adobe Experience Cloud is a significant step towards the future of consumer-focused enterprise-ready solutions and is available from today for those interested.